Welcome to Spruce Grove Ringette Association Registration for 2018-2019. Registration will open on June 1, 2018. SGRA has an online registration process. Please note all returning players not registered before the June 30, 2018 deadline will be charged a late fee. Once your registration has been received an automatic email will be sent to you by the system. Prior to registering please read all the information on this page before clicking on the RAMP Registration link found below. Please familiarize yourself with the Spruce Grove Ringette Association. You may want to refer to the Parent Information Handbook for more detailed and important information. CLICK HERE Due date to have bingos booked is November 31, 2018. If you have not signed up for your Bingo shifts, your deposits will be cashed, and replacement workers hired. Please note that players in the 18+OPEN Division are exempt from Bingo requirements; SGRA Executive are exempt from Bingo requirements. *Please note all registered players will have a mandatory $75 fundraising fee applied. This fee is in addition to the registration fees listed below. This fee will provide each registrant with 5 Galaxyland tickets. Further details will be given shortly. This Galaxyland event is for the annual Special Event organized by SGRA. You are free to sell your tickets for the recommended price of $15, as you so choose. The $75 fundraising fee is non-refundable. There is a reduced fee for NEW players to the Spruce Grove Ringette Association. This is meant to keep the cost acceptable for entry into the sport, as well as help with equipment/ringette pant costs. Example: If you have used RAMP online registration system for another sport like Lacrosse or Hockey you will likely already have a RAMP account and will be able to log into the online registration and choose existing RAMP Athlete. If you do not have a RAMP account you will need to create one prior to processing your registration. INTERESTED IN COACHING If you are interested in being a HEAD COACH, please indicate this during the online registration process. Also, go to the Become A Coach page on the website for application process and deadlines. PLAYER CREDITS: If you have fundraising/bingo credits with the association and it did not appear during the Registration process, please contact the SGRA Registrar. Your credits were assigned to your email address provided by your team treasurer. If no email address was provided, the credit was applied to the primary email address the association has on file. If you do not receive a response to your email sent to the Registrar within 2 business days please email the Webmaster. An email sent after June 27 to the Registrar and not received will not be an excuse for a returning player not registering by the June 30th deadline. Player Credits when applied to registration fees will deduct from the last payment forward. If the credit does not show up when you are registering, please complete your registration and then contact the Registrar by email to sort it out. CODE OF CONDUCT: SGRA Code of Conduct Policy applies to all members of the association. All policies and the Bylaws can be found on the SGRA website at under the Forms & Documents page. During the online registration process, you will be acknowledging that by completing the process, you are agreeing to adhere to the policy as posted. It is your responsibility to review the policy found on the SGRA website. "AA" RINGETTE: If you are in the U14, U16, U19 Divisions and are interested in trying out for AA Ringette with an outside association (this will only applies if SGRA does not offer a AA Team in your Division), you must still complete and pay your registration through Spruce Grove Ringette Association. If you make a AA team your fees will be transferred to the applicable association. 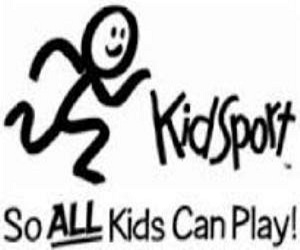 KIDSPORT: If you will be applying for Kidsport please continue to register online. 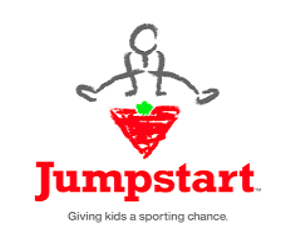 You must complete your KidSport application form and make an appointment to meet the Registrar so that the form can be completed (signed by Registrar) and for your child's registration to be coded as Kidsport. Returning players must have this completed before the June 30 deadline to avoid the late fee. Kidsport Application. If issued jerseys are not returned or are returned damaged, there will be a $100 charge per jersey. These deposits will not be processed if the jerseys are returned without damage. Parents and/or guardians will assume full responsibility and the cost of all or any equipment, including jerseys, willfully damaged, broken or not returned upon season completion by the registered player. Failure to work your required one (1) Bingo/Casino/50-50 shifts per player (maximum 2 per family) authorizes Spruce Grove Ringette Association to charge your card for the amount of $200 for each Bingo/Casino/50-50 shift not worked. Please note 18+ Division players are exempt from bingos; SGRA Executive are exempt from bingos. Deposit cheques for the following are required and must be mailed to SGRA, Box 4011, Spruce Grove, AB T7X 3B2. All mailed registration fees and deposit cheques must be post marked no later than June 30 in order to receive the Early Registration pricing for returning SGRA players. Failure to do so will result in a late registration penalty. You will be required to provide two (2) UNDATED jersey deposit cheques in the amount of $100.00 each, payable to SGRA. These deposits will not be cashed if the jerseys are returned without damage. Parents and/or guardians will assume full responsibility and the cost of all or any equipment, including jerseys, willfully damaged, broken or not returned upon season completion by the registered player. You will be notified of the charge prior to processing it at the end of the season. You will be required to provide one (1) UNDATED bingo deposit cheques in the amount of $200.00, payable to SGRA. Failure to work your required one (1) Bingo/Casino/50-50 shifts per player (maximum 2 per family) authorizes Spruce Grove Ringette Association to cash your deposit cheques in the amount of $200 for each Bingo/Casino/50-50 shift not worked. Please note 18+ Division players and Active Start players are exempt from bingos; SGRA Executive are exempt from bingos. PAYMENT INFORMATION: You will have the option to pay in full, to make 2 installments (available to new registrations) or to make 3 installments (returning players). For those paying in two installments, the first installment will be at the time of registration with the second/final installment August 31st. For those paying in three installments, the first installment will be at the time of registration, the second installment will be July 30th and the third/final installment will be August 31st. Fundraising credits will be deducted from the last payment forward (example, if our total fees are $500 and you have $200 credit, your two payments are $250 each, then the August payment will use $200 of the credit making it $50). Also for families with more then one child, if you have credits for both players they will be combined together and used for the first registration, if that registration is paid by credits and you still have credits left over the next child you register will use the remaining credits. If you have questions regarding how the credits are applied please contact the Registrar. Please note the following excerpt from the Manager's Handbook regarding carry-over of fundraising credits for registration: The treasurer MUST return any monies to the parent/guardian of a player for the dollar amount which is equal to or less than the initial set-up amount contributed to the team account from each individual family (ex: $150). Any monies over the initial set-up amount gained through fundraising must be carried over to the following year’s player registration fees. Any fundraised monies over and above the next season’s registration fees will be forfeited to the Spruce Grove Ringette Association. REGISTRATION RECEIPT: If you need a receipt, you can log into your account at any time and print off your registration receipt. This is the method you will use to print your receipt for Income Tax Purposes. RINGETTE PANTS: For divisions U10 and higher playing in the Black Gold League - Spruce Grove Ringette Association Custom Ordered Pants are mandatory. Please note: For U10 players, this mandatory rule will apply only to those teams who are playing in the BGL U10 Division, Step 1, Step 2, and Step 3. If your player is in a group that is not playing in the league, Active Start, you may wear wear generic ringette pants or hockey shorts/socks. To complete an order form please click the link Pants Order Form and if any questions, email the Apparel/Ringette Pant Coordinator This form can also be found on the website under the Forms & Documents tab. Please note: Players will NOT be able to play league/provincial games if they do not have the mandatory SGRA game pants. Q: How do the age levels work? A: The U10 Division will potentially consist of four (4) steps. All U10 players may be participating on ice for standardized assessments. The initial assessment groups will be made using the years of ringette or skating experience a player has. This forming of developmental appropriate groupings is extremely successful in the growth of young Ringette players. It looks at the player as a whole and does not necessarily categorize them according to chronological age. Players will be placed in “like-ability” teams. This will encourage participation and development within all skill levels of our players. The standardized programming for all U10 players will facilitate the placement of players to their appropriate group. All groupings/steps/teams will receive equal ice time and player development opportunity. The beginner staged grouping may possibly not be participating in league game play (more focus on Active Start and early FUNdamentals, skill development, and learning the game), while the later staged U10 groups/steps/teams (more experienced & skilled) will be a part of the Black Gold Ringette League. While the beginner staged grouping is not within a league, equal ice sessions will allow more opportunity to set and play exhibition games. The above concept was developed in relation to Long Term Athletic Development (LTAD) and is supported by Ringette Alberta. A: The season registrations fees are set out each year and are listed in the above table. Q: What are the residential boundaries of the SGRA? I do not live in the city of Spruce Grove and want to be certain my home address allows my family to play for SGRA. A: The answer here varies depending upon Division level and ice availability. Regular season games can be anywhere throughout the Zone 5 Member Associations i.e. Sherwood Park, St. Albert, Beaumont, Leduc, Edmonton, Lacombe, Hinton, Ft. Saskatchewan, Drayton Valley. There has been in past years a pre-determined day for practices. As the association membership continues to grow, we may not guarantee that this will continue. We will do our best to provide a good level of consistency. The schedule for practice times will not be provided prior to the season starting. We may determine this once we have all registration numbers accounted for and teams determined (approximately 3rd to 4th week of September). Practices may be held in Spruce Grove at the Stu Barnes or Tri-Leisure Arenas. Occasionally practices may be held in outside communities such as Calahoo, Wabamun, Riviere Qui Barre, etc. Be prepared for occasional early morning ice times on weekends. Q: What are my Volunteer obligations? Bingo, Casino, Oilers and/or Oil Kings 50/50 - You are responsible for volunteering for one (1) shift per registered player. No family will be required to work more than two (2) shifts, regardless of the number of children playing. Please be sure to book your shifts on the Bingo page of the website or contact the Bingo Coordinator. Please note 18+ Division players are exempt from bingos; SGRA Executive are exempt from bingos. Volunteer duty for the Sweetheart Tournament - if you do not fulfill this you will be charged an amount as set out annually - be sure to SIGN IN for your duty during the tournament. In addition to the coaches and trainers, there are certain team roles critical to the smooth and enjoyable running of the season. Parents are asked to STEP FORWARD to fill these roles that first day of practice after teams are formed. Time Keeper; Score Clock; Penalty Box - All parents will be required to take turns for home games, away games, and tournament games as score keeper, timekeeper, penalty box and/or shot clock (for U12 and up). Don’t worry newcomer parents, these tasks are easy and it’s fun to watch the game from ice level! Team Manager - Responsible for the overall communication and organization of the Ringette team. Treasurer - Responsible for the overall finances of the team. Tournament Coordinator - Responsible for assisting with finding and entering their own team into tournaments. Sweetheart Tournament Representatives - 2 per team. Responsible for team representation for SGRA Sweet Heart Tournament organization. Social Planner - some teams have someone to coordinate any extra events for the teams. Fundraising - Responsible to discuss with parents any interest in fundraising opportunities. SGRA Event Representative - Serves as team representative for the planning and coordination of the SGRA Special Events. Jersey Parent - Responsible to bring both home & away jerseys to games; and collection of jerseys after all games. Responsible to wash/care for home & away jerseys. Q: If I have more than 2 children registered do I get a break on anything? A: For families with 3 or more children (from same primary family/residence), there is a 10% discount on registration fees. The online registration system does not allow for this discount to be applied at the time of registration. Once you have registered all your children the Registrar will apply a credit to your account once they have verified the registrations. If you paid in full at the time of registration a refund for the 10% credit per player will be issued to your credit card. You MUST contact the Registrar to request your discount. Q: What are additional costs I can expect? Photos - Team and individual photos will be taken in the fall. You will receive one team/individual player photo from the association. Additional purchasing is optional, but package prices range from $15 and up. Lots of extras are available from bag tags to calendars to posters. Away tournaments (not the Sweetheart Tournament) - Your team may choose to enter tournaments, most do. These costs vary, in the range of $30/player per tournament plus any travel costs. Optional team events - these may include kick off get-togethers, Christmas and season windup parties. Costs might be for swimming, bowling, pot-lucks etc. (Optionally, small contributions for season-end coaches gifts are common). Aside from photos, some teams elect to pitch in a certain amount estimated to cover everything at the beginning of the year for the tournaments and parties so families are not “nickel & dimed” throughout the year. This is the seed money referred to earlier in this document. Q: Can I request for my child to be on a team with their friend? A: We try to form the teams for age range and ability, so requests cannot be guaranteed, although they may be considered. As per SGRA’s Team Formation Policy, new or first time U10 players (and younger) are able to submit requests to be placed on the same team as a friend or family member. These requests are limited to one per player and can only be made by new/first time players in the U10 Division (and younger). Please keep in mind that the players will be assessed and placed in groupings according to development needs, so requests cannot be guaranteed. Please refer to SGRA Player Request Form and guidelines for use (posted on SGRA website). Forms must be submitted prior to the athlete assessments/evaluations. The SGRA Player Request Form is a process/policy that is determined annually by the Executive Board as per set guidelines from the BGL and Ringette Alberta on team formation. Practice jersey (2 game jerseys are provided by SGRA - 2 deposit cheques/credit card authorization for $100 each are required at the time of registration). Cooper-alls or ringette pants. For divisions U10 and higher playing in the Black Gold League - Spruce Grove Ringette Association Custom Ordered Pants are mandatory. Please note: For U10 players, this will apply only to those who are playing in the BGL U10 Division. Please refer to the Ringette Pants section found earlier on this webpage. Economic hockey starter kits are available at Walmart and Canadian Tire for younger children. Be sure to purchase a ringette mask, ringette stick and Jill strap.